Gout Pain Relief | You don't need a prescription. Try this. Anybody who has ever had a gout flare-up, even once, knows all about those little, green prescription capsules known as Indomethacin or Indocin. Women talk about how painful child birth is, but believe me, gout might make that a distant second when it comes to pain-scale ratings. Gout feels like you are giving birth to a 10lb shard of glass through one of your toes. The first time I had gout and visited my doctor, I didn’t begin to feel any gout pain relief until I had taken my 2nd Indocin pill which was prescribed 3 times daily. If you get gout infrequently like me, it is a cause for full-scale panic when it flares up and you realize your prescription for Indomethacin is either expired or past its effective shelf life which is only about 3 years. Believe me that shelf life really means something. Last time I had gout, and started using a 7 year old prescription of expired Indocin, I was not getting any relief after the second dose. I might have experienced a very painful lesson had I not learned that there is something just as effective as and reportedly safer than Indocin for Gout. This is pain relief that can be bought OTC and was already sitting in my medicine cabinet: Aleve. While Indomethacin may seem like the magic cure for gout pain relief, in reality it is just another type of NSAID (Non Steroidal Anti-Inflammatory Drug) – Naproxin , Ibuprofin and Indocin are all NSAID drugs and all of them are capable of effectively treating gout if you know how much and how often to take them. A neurosurgeon once told me that a prescription drug is never needed to treat pain. He told me that for severe pain, simply double or triple the over-the-counter dose of either ibuprofen (Advil) or naproxen (Aleve) . In my opinion, the Indocin Side Effects are worse than Aleve, though my concern increases for such high dosage of any over the counter drug. . To me, this almost always includes an upset stomach. Prolonged use of an NSAID can definitely upset the digestive track and ultimately lead to serious complications like stomach ulcers or bleeding. The prescription drugs, which are simply stronger versions of OTC NSAIDs, are no less prone to causing these side effects. 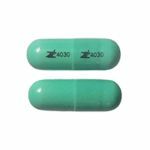 The first time I was given a prescription for Indocin, my doctor prescribed a prescription of Zantac to go along with it to prevent stomach upset. Never mind the fact, that prolonged use of Zantac also presents its own side effect problems. The other, more serious side effect associated with high, prolonged use of NSAIDs is heart attacks. The one, minor side effect that I’ve noticed with Indocin but not Aleve, is dizziness and tiredness. The Indocin also seemed to raise my blood pressure after a couple of days. So, both OTC and Prescription pain killers present a vicious circle of problems, but knowing how painful gout can be, I’m willing to break my own rules about limiting their use. So, is there something better than Indocin for Gout? Aleve, used sparingly, has helped me with variety of other types of pains; rarely upsets my stomach and appears to be safer all-around than Indomethacin according to actual studies. Some research among other victims has helped me come up with an affective Aleve Gout Treatment Regimen. Make sure to take substantial amount of food with each dosage to avoid stomach upset. After 24 hours, start taking 1 Aleve every 12 hours until pain completely subsides or when you’re sure you can manage the pain without any pain killers at all. Aleve, used in this matter is safer and more effective than Indocin for Gout.